The ultimate airboat thrill awaits you in Baffin Bay Texas.! 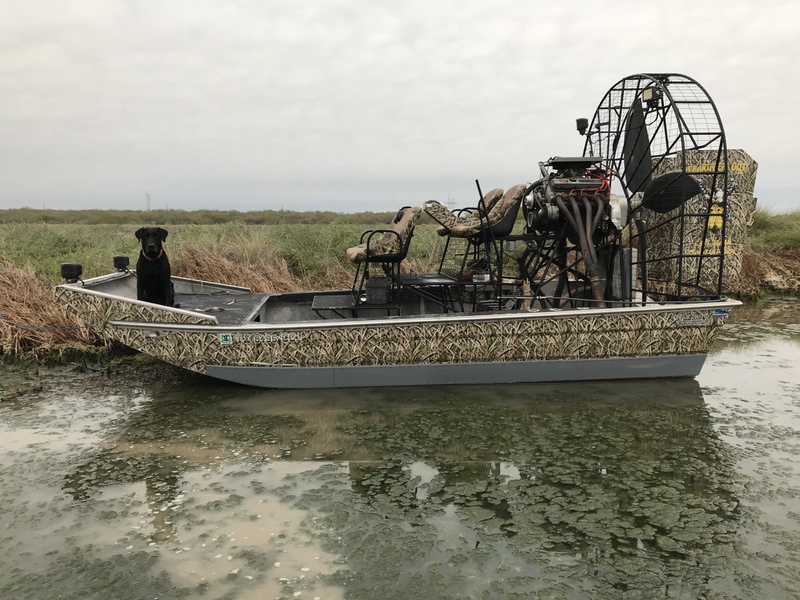 Airboat tours through the back waters of Baffin Bay in the skilled hands of Baffin Bay's only airboat Captain with over 20 years of airboat experience. Take a wonderful and exciting journey with us around Baffin Bay surrounded by wild animals in their natural habitat. Possible sightings include ducks, the spectacular annual drum run in Feb. and March ( the spawning of drum in the creeks of Baffin Bay), giant trout and big reds in the shallow flats, deer, hogs, javelina, bobcats, nilgai, and all species of shore birds. Climb aboard our well maintained and state of the art airboat for a one of a kind Baffin Bay airboat tour experience. If staying at one of Baffin Bay lodges, transport is provided for a $15 service fee.